Just when you thought that 3D printing had found all of its uses in the most unthinkable applications a new use arises. Today, let me tell you hot 3D printing is helping decommissioned power plants deal with the disposal of nuclear waste. Did you know that one of the world’s first power plants is located in the North West of England? It’s been there since 1940, it has had its ups and downs and in 2003 it was decommissioned and the cost for decommissioning it was a mere 70 billion pounds, in this case it was all from the tax payer’s voluntary contribution. The plant’s operator is Sellafield Ltd. And they have been doing the decommissioning, here is where 3D printing and 3D scanning come into play. In order to move all the radioactive sludge from the site to its final rest place (an encapsulation plant) a 40 ton stainless steel Solid Waste Export Flask is needed, and you can’t just be moving this radioactive material in the roads all exposed to the environment, no sir you can’t. Bordas and his team were able to create a model of the lid in a very short period of time and with only 3000 pounds spent in the 3D scanning process which is 8 times cheaper compared to the usual metrology rig process and in a fraction of the time which on average takes around 6 months to manufacture using traditional tooling. 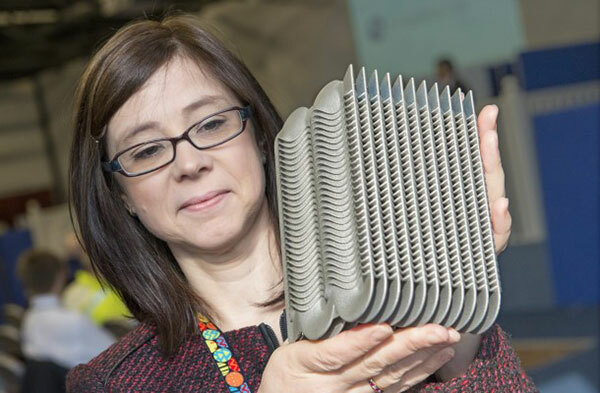 After the success of this project, Sellafield is looking into new areas in which 3D scanning and 3D printing can play important roles in the development of custom made parts for a 1 time production and on site manufacturing of specific components. It’s very interesting to see how 3D printing can always find its way to help in the most unthinkable industries, especially when it comes to preserving the environment by creating fast and reliable solutions on the go.